Jammu and Kashmir Chief Minister Mehbooba Mufti asked the district administration to provide adequate treatment facilities to the injured and make arrangements of shelter, food and other facilities for the people affected by the cloudburst and consequent flash floods, an official spokesman said. Srinagar: Jammu and Kashmir Chief Minister Mehbooba Mufti today expressed grief over the death of six persons in the cloudburst in the Doda district and asked the administration to speed up rescue and relief works. She also asked the district administration to provide adequate treatment facilities to the injured and make arrangements of shelter, food and other facilities for the people affected by the cloudburst and consequent flash floods, an official spokesman said. The chief minister has asked the Minister for PHE, Irrigation and Flood Control, Shyam Choudhary to rush to Doda and oversee relief and rescue operations, the spokesman added. 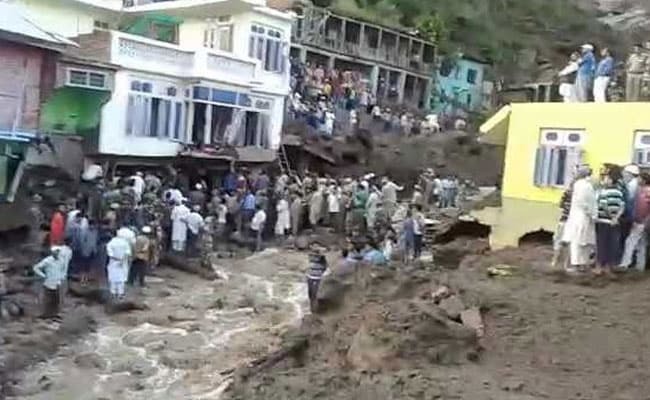 Six persons were killed and 11 injured after flash floods triggered by a cloudburst wreaked havoc in Thathri town of Doda district of Jammu and Kashmir today, inundating vast areas along the Batote-Kishtwar National Highway and washing away half a dozen houses.